Dr. Tobin Taylor has been doing a lot of good over the past 14 years—as an Ophthalmologist with Drs. Campbell, Cunningham, Taylor and Haun. 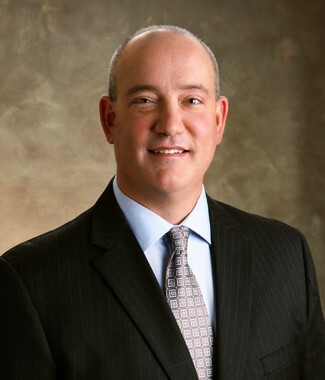 Certified by the American Board of Ophthalmology, Dr. Taylor specializes in Cataract and Anterior Segment Microsurgery; Glaucoma and Diabetic Eye Disease Management; Medical Retina; Eyelid Plastic and Lacrimal Surgery; and Neuro-Ophthalmology. Today he uses his practice to improve the lives of his patients, but he actually began serving the needs of others at a very early age. In fact, growing up near Austin, Texas, it was clear to those around him that Tobin “Toby” Taylor was heading for a lifetime of caring for those in need. Folks could see it in the way he dutifully looked after his mother who was in and out of the hospital with chronic health issues. It was that unmistakably generous spirit (and perhaps his size and strength)that led his fourth grade teacher to choose Toby as the unofficial caregiver of a classmate who suffered from Muscular Dystrophy. “I helped him everywhere: from the car, to class, to the bathroom, to the playground,” says Taylor. “I was later asked to help a couple of other physically challenged classmates. You might say I became ‘the school orderly’ because I was usually the guy who transported the kids with disabilities.” Young Toby was happy to be in a position to help. 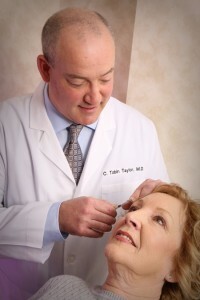 Dr. Taylor performing a Cataract screening. 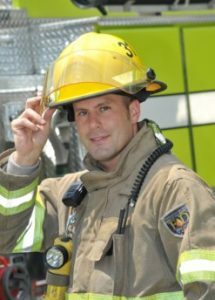 Deeply affected by the experience, Toby later became involved in the Jerry Lewis Muscular Dystrophy Telethon, going door to door soliciting contributions and setting the area record for collections three years in a row. By the third year of Medical school, it was clear: Ophthalmology was Taylor’s passion. 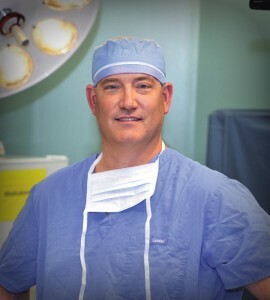 “I liked being able to change someone’s life for the better,” recalls Dr. Taylor. He had found the perfect outlet for his growing skills and his desire to serve patients who needed them. Dr. Taylor treating a Facial Spastic Disorder. After a brief stint practicing in Arkansas, a fondness for the area brought Dr. Taylor and his family to the mountains of East Tennessee in 1998. 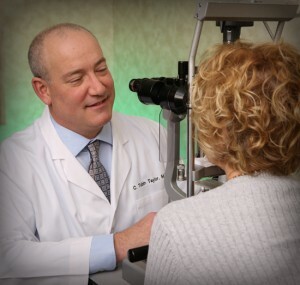 Today, Dr. Taylor commonly treats patients for age-related eye disease and other general Ophthalmological disorders. He performs Cataract Microsurgery and treats patients for a variety of eye diseases like Glaucoma and Dry Eyes, as well as those related to his subspecialties of Cosmetic Eye Surgery and Neuro-Ophthalmology. Dr. Taylor practices in four of the five CCTH offices—Knoxville, Sevierville, Maryville and LaFollette—so he gets to meet people from all over East Tennessee. “I always enjoy getting to know folks on a personal level. It’s very satisfying when I can help them.” Just what you’d expect from a Texas kid who used to carry his disabled friends to class. When not at work, Dr. Taylor enjoys hiking, mountain biking and fly fishing—and he might even sneak in an occasional game of golf. He and his wife, Julia, also enjoy sailing together and spending time with their kids.